I have been a runner for the past 20 years. In 2015 I had run over 20 marathons and had expanded to participating in triathlons. One of the goals I was encouraged to strive for was to run marathon in a time that would allow me to qualify to run the Boston Marathon. The holy grail of marathons and something that I always thought I was not abile to do. 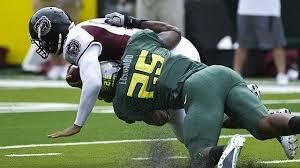 But I was diagnosis with a meniscus issue, likely torn and possibly needing surgery. I decided there was no way I would wait that long so I talked to Anthony. With the program that Anthony created for me and my diligence in doing the exercises and work it wasn’t long before my knee was responding. I was amazed at how much stronger my leg was feeling. Actually both legs were feeling stronger :o). I stuck to the program and continued to improve. After a few months I cancelled my surgical appointment and began to run again. The program Anthony built was great. I kept doing the knee rehab exercises and worked diligently to be as fit and fast as I could be. My right knee was 100% and at no time did I have any pain, swelling or complications! . I ran the planned marathon in California on December 4, 2016. I had run this marathon before in 2004 where I set a PB. Now 12 years later on a knee that was recommended be surgically “fixed” I ran a new PB and a Boston qualifying time. There isn’t any doubt in my mind that without Anthony’s straight up assessment and guidance I would not have accomplished what I did. I consider Anthony to be the best solution for anyone wanting to recover or who has specific goals they want to achieve. His skills and ability to find solutions and develop plans that are built on your specific needs are outstanding. Get an assessment, get a plan, commit to work hard and success with be yours! “A coach is someone who makes you do what you don't want to do, so you can be who you always wanted to be. There is no glory in practice, but without practice there is no glory.” (Anthony's quote on FB). Anthony is an amazing coach who really cares about his clients. He loves life, & loves to see people active & really living & loving life as well. He is exceptionally patient as he gently builds confidence into the people he works with as each person develops at their own pace & ability. Anthony has a “can do” attitude towards everyone he coaches in that he naturally expects that his clients will improve & do well. On a personal level, I have learned a love for competing in triathlons, & Anthony has helped me to develop the strength, endurance, & technique needed for these races. More than that, I have gained confidence in who I am & in my own abilities. I have participated in Anthony's swim, bike & run clinics regularly over the last 3 years, & each year I learn something new in technique, & make improvements on what I learned the year before. Anthony's clinics have made me do the hardest physical work I have ever done while having fun at the same time! His personal training has helped me heal from injuries, & has helped to make me more self aware of where my technique needs improvement. But, you don't need to love triathlons to benefit from Anthony's coaching. Our son has made great improvements in his foot speed & strength as he trains for hockey, & I know of others who have made great strides in their general health as Anthony has helped them rehabilitate after an injury. Anthony has a kinesiology background, but he is truly gifted in his ability to understand the human body & how each muscle group affects the other. He is able to quickly discern where issues lie within muscle groups, & put a strength training plan into action. I would highly recommend Anthony's coaching for anyone who wants to be active & stay active. He can help you achieve whatever your goals are, & stay injury free. Darlene Wollf,triathlon age group winner. I started Fit Club on Sept. 14th, 2014 and have participated in all the training for running,cycling and swimming.I enjoy the group atmosphere and actually look forward to training. Anthony is a great coach and family man. He can communicate to all levels of fitness and age groups. I've had good results and have been injury free since training and racing with Anthony. I will be training again with Anthony and look forward to another great race season. I had shoulder surgery prior to my NFL DRAFT DAY 2014...big set back towards my goal… Anthony has helped me regain the power and stability I need on the Football Field. I have improved and continue to develop the strength to lead me back to the NFL post surgery. I started using Anthony as a coach because I had gone as far as working harder could take me. My fear was that simply working harder would actually hurt me (for race times and also physically) over the long term. Anthony has helped refine my technique to help me be more efficient in swimming, running and biking. By being more efficient and by training smarter I hope to be able to enjoy competing for years to come, not simply enduring it. Anthony is great to work with, communicates well, and can break down changes into simple steps. I highly recommend him. Over weight and completely out of shape At 51 years old I had made many poor choices with my health and well being. Then in Sept 2013, I set what many believed was an impossible goal. With no history of training in running biking or swimming.... I knew I needed a professional coach and contacted pro triathlete and expert trainer Anthony Toth. Inside of 10 months Anthony flawlessly guided me to the best shape of my life. Running went from over 11 minutes per mile to 7:12 minutes per mile. Through attending Anthony's cycling clinics I became strong fit and fast on a bike. I also went from being obese at 203 pounds down to 159 pounds. Thanks to Anthony on July 27th 2014 I had one of the most memorable days of my life. I completed the Ironman Whistler course, and heard those immortal words over a crowd of screaming spectators. " Robert Higgins ..... YOU ARE AN IRONMAN "
Not only did Anthony give me incredible advice and training every step of the way.... he earned a client for many more years. You do not need to compete in an Ironman event to have your life changed by Anthony.... but he will certainly help you cross that finish line no matter what your goal is.. Thank you Anthony.... You have changed my life forever !! In May of 2014 I was riding my bike home from work and was hit by a car. The result of this accident was a fractured pelvis in two places, multiple contusions on my leg, foot and ankle as well as soft tissue damage.I went through many months of physiotherapy and massage therapy. When I found out about Anthony and the cycling clinic, I told my physiotherapist and he suggested I go. So in October of 2014 I went to the cycling clinic. Anthony is atremendous coach and the clinic was actually a lot of fun.In February of 2015 I met with Anthony once a week for 4 weeks. He gave me exercises specifically to help strengthen my hip/pelvis and also to help with range of motion. He always took the time to make sure I was doing the exercises properly and would correct when necessary. In March of 2015 I joined the running clinic. I have never considered myself a runner and found the first several weeks very difficult. I remember thinking that if I can just hang on until we’re done in May, I’d be okay. I learned so much from Anthony at this clinic and he was always very patient and would answer any questions I had. One year after my accident, I did a 5 km run placing 3rd in my age group of 50-54. My goal was to run the 5km in less than 30 min and I did with a time of 29:11.Now I want to do another 5km run and get even a better time! I could never have accomplished any of this without Anthony’s help. And the best part is because I’ve been learning how to run properly, I have no pain or injury. Thanks Anthony, you’ve made a runner out of me after all! I found Anthony to be an amazing coach and mentor. He took me from a bad MCL injury where I thought I needed surgery and questioned if I would ever compete in a Triathlon again, to racing Ironman Victoria 70.3 and setting a PR. He is a dedicated coach that gives personal attention and pushes you to reach your potential. He laid out a specific plan that included nutrition, calorie goals, pace goals, and heart rate goals. I can’t recommend Anthony highly enough as a coach and will continue to participate in his ongoing swim, bike and run clinics through out the year. 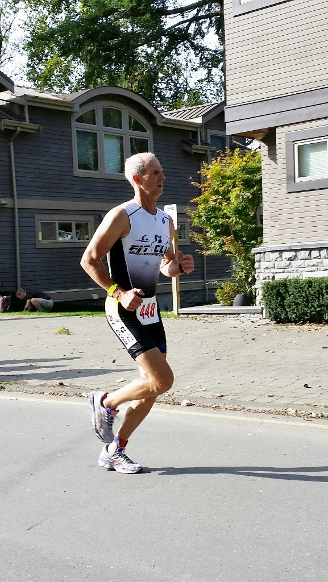 September 2013 I participated in my first Sprint triathlon at Cultus Lake. I was thrilled with being able to complete the event, 1:48 was my time, and I finished 12/14 in my age group. This was ok but not really good enough for me. Weight and running were my weakness, I had walked most of the 5 km of the triathlon. Shortly after the triathlon I learned about Anthony through a co-worker and signed up for his fall running clinic. When I arrived I was treated to a funny surprise... Run a mile; fast! Previous to this I had been learning to run using a 0-5 km app through my iPhone and had worked up to running for 6 minutes straight, which certainly did not cover 1 mile in distance! Lucky if it was close to half a mile! That first mile was tough and it took over 11 minutes. A few weeks into the running clinic and I knocked off close to two minutes from my mile. Then Anthony’s cycling clinic started, so I joined that. Soon after that, Anthony’s swimming clinic began; so I joined that. 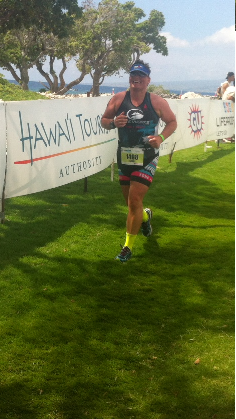 Along the way I decided entering the Ironman 70.3 Hawaii would be a good idea! 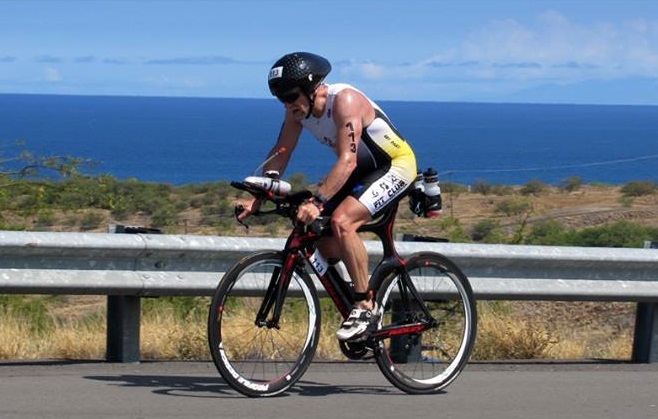 Fast forward to May, I'd dropped over 40 pounds, gotten into the best shape of my adult life, ran some local running events including a half marathon, completed several local sprint triathlons were I finished in the top 5 of my age group and then off to Hawaii for the 70.3! It was fantastic! I had no big triathlon dreams previous to my inaugural race September 2013, but I do now! 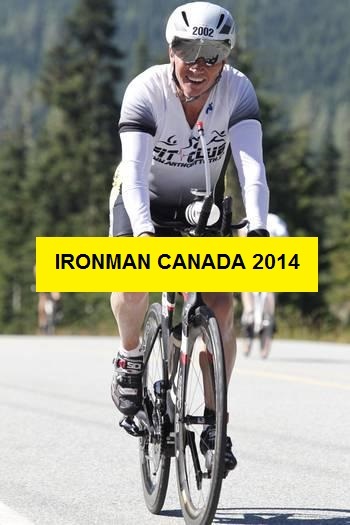 Next is the big one Ironman Whistler in June 2015. Anthony is a great guy. He's very inspiring no matter what your starting abilities are, personalizes training to you and encourages along the way. Thanks Anthony for the fun ride; so far! HONU 70.3 2015 36 minutes faster then 2014. Anthony put together a strength training program for me and walked me through it several times at the gym. I have previously had injuries affecting my lower back and neck, but Anthony instructed me on how to exercise without re-injuring myself. I have had great results ever since. Anthony's coaching helped guide me to an Ironman PR in just 7 months improve all three triathlon disciplens resulting in a PR of over 2 hours at Ironman Texas 2014.Improving my swim time by over 25 min, as well as making great leaps in my biking and running times. Anthony focusing on learning proper form, technique, pacing and nutrition which have been key to my improvement. I am running at a faster pace with less effort than ever before. Anthony has opened my eyes to the importance of form and strength in running, which has helped me achieve a new PR in the Half Marathon, and 5K at the age of 43. Ironman Texas 2014 Swim 1:29 Bike 5:42 Run 4:32 finish 11: 55! Anthony Toth is a great coach and motivator. I found that while working with Anthony I was able to keep focused on my goal with easy step by step goals that didn't overwhelm me. Anthony showed that he has a vast area of knowledge in training properly and was always supportive and encouraging with training setbacks. I never would have met my training goals without his help and am truly satisfied with my achievement. Additionally, Anthony made running fun again for me by helping me get through bad posture and habits that compounded to make running painful. I am happy I met my goal of running a half-marathon and coach Toth is to thank. With great advice on strategy and nutrition I was able to achieve a personal record in my last Ironman. Not only am I faster, but more importantly, Anthony has given me the confidence to believe in my capabilities to succeed. It has been fabulous working with someone as patient, knowledgeable and charismatic as Anthony. Ironman Texas 2014 Swim 1:24 Bike 6:25 Run 4:23 Finish Time 12:37! Having the good fortune to have met Anthony has had a direct impact on all areas of my life. I have spent many years doing the same old workouts and diets that got me no further forward. After an injury 4 years ago, I had limited use of my shoulders and was facing a bleak prospect of shoulder surgery. Since meeting Anthony, I have lost weight and gained strength in a consistent and focused manner, an added bonus-no shoulder surgery. With encouragement and a clear plan that is varied and challenging I have been able to compete in two triathlons and various 5k and 10k races. Recently, I had an elective surgery which has compounded for me that working with Anthony has had a huge impact on my overall health. My post op nurse along with the surgeon/dr were amazed that I could do a hip raise as I was being prepared for discharge.The remarks included that I must have good core strength, and given that the surgery was in the stomach area it must be true! I am in better health and stronger generally since I started working with Anthony and this is enabling me to recover in a speedy manner. I can't say enough good things about Anthony and how he has helped to change my life and my health. I can swim bike and run which I could never have imagined doing 2 years ago before I met him. As someone who is 50 it is important for me to think about my health and quality of life. I know continuing to have Anthony train me and to take part in his clinics will ensure that I go from strength to strength, he is knowledgeable, approachable, encouraging and an all round great guy! Thanks for all that you do Anthony. Thanks to coach Anthony for helping me out with my training for ironman. I did my first ironman 3 years ago and that's when it all started. Anthony help set me up with a training plan so that I could have a good race and a good time. Over the last 3 years Anthony has made me stronger and faster then I have ever been. Anthony has spent alot of personal time with me for training and he also take time to talk to me before and after each race. With out Anthony I would have been lost in training and would have not had fun during my races. Thanks for making my dream of going to Kona one step closer. Anthony is the real deal. Thanks for everything you have done for me! I just got into triathlon last year on my own. 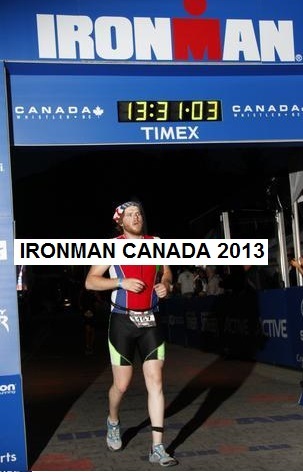 I ended up going to watch the Iron Man Canada 2012 race in Penticton and decided that I wanted to do it next year. It was clear that if I wanted to accomplish this goal I was going to need some help. I started talking to Anthony as he was referred to me by a friend who had just completed IMC. I went to his cycling and running clinics over the winter. I was very impressed by his coaching, particularly his ability to teach proper technique in order to improve efficiency and prevent injuries. Anthony is amazing at explaining the reasoning behind the technique; why it is more efficient, why it will prevent injuries, etc. 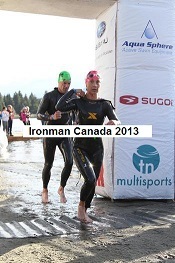 It was clear through these clinics that he was the perfect fit to coach me to complete IMC 2013 in Whistler. He tracked my progress and was always available to answer questions by e-mail. He has shown great interest in my progress and I can honestly say I wouldn't be at this point without him. As I've already said Anthony's coaching technique is fantastic, and I was a rower at Santa Clara University for four years where we had very experienced coaches, so I have a good reference of what good coaching is. Not only did I complete the inaugural Iron Man Whistler event I also got to do some pretty amazing other events this year with great results along the way. I can't thank Anthony enough for his help this year. I will continue working with him as I train for more triathlons and running events. I can't speak highly enough of his coaching and recommend anyone that is looking to improve there running or triathlon times to attend one of Anthony's clinics or hire him for one on one training sessions. I have considered myself a runner for a while now, but this year with Anthony's help I have accomplished more than I could ever have imagined. I had my 10k personal best, avoided being injured again while training for a marathon, and accomplished my ultimate dream of doing an Ironman triathlon. I would highly recommend any of Anthony's many services for what ever fitness goal you would like to reach. His personalized, friendly and confidence-inspiring coaching have made this one of the best years of my life. Sheri Knight, age 36 and busy mother of two. My type 2 diabetes was becoming out of control, my medication was increasing, I was feeling very unhealthy and tired . Now 10 months later I am healthier than I have been in 20 years I am 45 lbs. lighter and my diabetes is very close to being treated without medication. I am planning to do my first 10km run February 2014, I will continue to train with Anthony, and achieve my personal health and fitness goals. Not only is he an outstanding professional trainer, he is an accomplished athlete, this makes his training even better, I highly recommend Anthony! I have been part of a small group workout led by Anthony for a year and a half now. I didn't think I was out-of-shape and my goal was to maintain my strength and overall good health. To my surprise, in the first few months I found many of the exercises that LOOKED easy, difficult. Now, I am thrilled at how much my ability has improved to perform all the exercises Anthony assigns to us. In fact, I feel better and it no longer takes me a minute to straighten up after being in a crouched position whether having worked on my laptop at a lower table or having been gardening. My core strength, my balance, my confidence, and overall great feeling continue to improve because Anthony keeps varying the exercises and increasing the challenge regularly. Anthony also addresses my questions and any concerns I have regarding a muscle or pain and Anthony provides me with insight and understanding about what is happening with my musculatory system. His attention to detail is impeccable! I appreciate his patience, his knowledge, his role-modeling and his friendly, easy-going nature. Anyone wanting to "maintain" their physical abilities should consider getting a group together, joining our group or calling Anthony to arrange a routine that will work for you! He pays attention to detail and ensures you are performing an exercise properly so you gain/benefit the most from each workout. He tailors the exercises to your needs and abilities, varying the program so you don't get bored. Anthony practises what he preaches!! Last December I decided it was time to finally challenge an Olympic triathlon, a long time goal of mine, so I signed up for the June 15th Victoria Triathlon. Fifteen years ago I had successfully completed a few marathons, so I knew I had some running ability however I could not swim. Clearly, swimming lessons were a must but so too was an overall training strategy for triathlons and Anthony came highly recommended. We began this partnership in January and I will never forget the look on Anthony's face during our initial assessment session as he asked me to swim 200 meters only to discover I could not even make it 25 meters. Well, I recently successfully completed my first (of hopefully many) Olympic Triathlon in 3:04 hours. Anthony's expert instruction, unfailing focus and commitment, coupled with his endless inspiration not only ensured that I would learn to swim but that I would become a much improved cyclist and runner - in just 5 months! Moreover, and equally important, his relentless attention to proper technique made sure I accomplished this while avoiding injury, something that has plagued me, and ultimately stopped me from running in the past. Next; a half Ironman - with Anthony's guidance I have no doubt that this too will become a reality. I have been training with Anthony Toth since March 1 of 2013 and the past 3 months I have achieved weight loss goals that were previously unachievable. Anthony is a very professional and supportive. In addition to challenging training sessions he also provides information on nutrition, and consistent exercise programs. I highly recommend Anthony Toth and his training services to anyone who is serious about achieving personal goals in a safe, structured program. He is amazing. Thanks you Anthony. I started training with Anthony because I wanted to improve my overall conditioning, strength and muscular balance, but wasn't sure what I wanted to focus on for my physical goals. I was a professional dancer and was ending that part of my career and needed to develop a new focus and direction for athletic challenges. Anthony's ability to understand what program I needed and how to get me to my goals surpassed all my expectations. He made working-out enjoyable and before I knew it I was running, cycling and swimming well. I competed in my first sprint class triathlon and won my age group. Regardless of what you are looking for in your training, Anthony is a real pro and I highly recommend him. His dedication, knowledge and commitment to your success is beyond compare. Anthony Toth is a skilled triathlon coach. Since I started training with him my 300 m swim time has come down from 6:15 to under 5 min for 300m . I look forward to improving my bike and running times as well as i prepare for my goal race for 2013 the Miami 1/2 ironman. As an Ironman Finisher I can say with certainty that Anthony's coaching, encouragement and in-depth knowledge of the science of biking/running/swimming proved to be an invaluable asset in my Ironman Quest. His evaluation of my technique and then positive recommendations made all the difference in my success. Anthony has my gratitude and respect for his coaching abilities and great attitude towards the sport. Proper form and technique in strength training, running, and cycling are only some of the skills we have learned with Anthony. He has tailored our training so that each of us has been able to learn at our own level of ability and strength. Dawson (age 12) is improving in his strength, agility, and speed in skating. Ginelle (age 16) , has attained her desired weight. Dan & I are enjoying running and cycling without the issues we were encountering before we found Anthony. Anthony's professional and personable expertise as an athlete and Kinesiologist have given us confidence and the skills needed to live a healthy and active lifestyle. Thank you for investing in our family, Anthony! Anthony’s attention to the small details in his coaching made a huge difference for me as he trained me for my first triathlon where I got 2nd in my age group. Anthony consistently teaches, “Good technique equals the ability to perform better with less effort”. His training & understanding of body mechanics is second to none! Thank you, Anthony! Cycling 400 km (from Kelowna to Vancouver) in one day is hard enough but doing it without a meniscus in my Right Knee makes it sound impossible, but training with Anthony gave me the proper cardio and strength training to finish the ride comfortably and confidently without any injury. Anthony allows you to train hard because he has the knowledge to prevent overuse but still build strength, power, and conditioning. 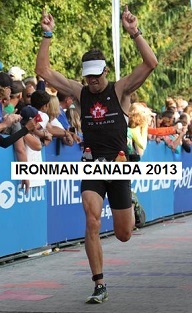 Anthony’s coaching was critical to make my journey to complete Ironman Canada successful. I thought I knew how to run until I worked with Anthony. His techniques are essential to success in long distance running. Anthony really understands the practical parts of running and biking and combines this with a solid background in Kinesiology to give you a complete coach. After only 15 one hour running clinic sessions with Anthony, by implementing and practicing what he taught me, I improved my running pace by over one minute per mile. Anthony is a knowledgeable and experienced coach who always encouraged me to push myself and challenged me with new exercises. Anthony knows how to train while avoiding injury and he knows how to communicate with others so they can do it too while elevating their personal performance. I highly recommend not only participating in his running clinic but fully engaging in the experience of being a better and smarter runner whatever your goals may be. Thank you for the work you did with me to improve my overall power and endurance on the bike( in olny four short months) and with specific help to address some nagginh muscle imbalances and injures that threatened to prevent me from achieving my cycling goal for 2012. I'm Plesaed to say that I successfully completed the very Challenging Korea Randonneurs 1200km brevet. Thanks again! I had never run prior to meeting Anthony. He got he into running in 2005 at the Vancouver half marathon. The next year I ran it again and 13 minutes faster after training a full year and attending his clinics. As well I have stayed injure free along the way. He had made me a runner! Then in 2010 I became a marathon Finish. Training With Anthony was effective in Strengthen my Core, coordination, and along with a low calorie diet, helped cut my body Fat percentage in half with in short training period. I also impoved in flexibilty, agility, along with physical and mental strength. Training with Anthony Toth is an exceptional experience! Plan to work hard but you will achieve your goals with amazing results. Anthony insists on correct technique and good form and creates individual programs which focus on results and success. ...And Many More. Make your goal and get the proper training and coaching to make it happen.